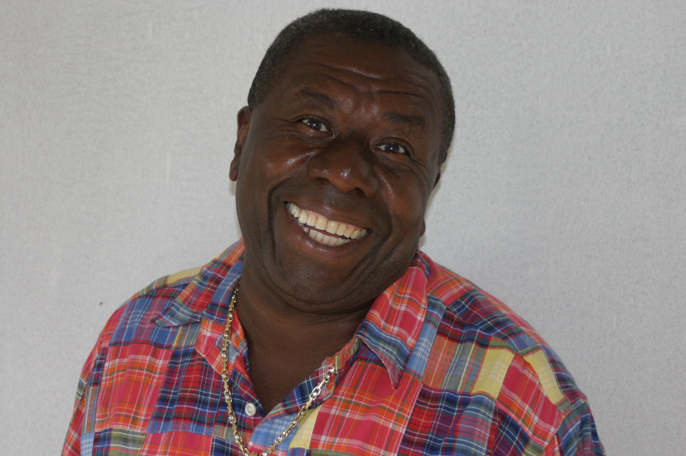 Oliver Samuels is touring the UK with Audrey Reid in their play Guava Jelly. Sophia Jackson caught up with Oliver before he jetted off to the Caribbean arts festival, Carifesta. Are you all set for your trip to Carifesta? Can you tell our readers about it and what your role will be in representing Jamaica? It’s a festival of arts for the Caribbean, where the islands come together to show off their talent and meet to discuss integration through culture and various aspects of our lives. My role is as actor to showcase River Bottom. Tell us about Guava Jelly? Guava Jelly is a story of this couple who are driven by ambition - one in a positive way and one in a negative way. It looks at how ambition even though good, can drive people to madness if you do not achieve the goal you have set yourself out to achieve. It looks at this woman who has a husband and she lives in this fantasy world and she is always wanting better for herself. Nothing wrong with that but she is influenced by these worldly trappings of this magazine. Her husband tries to fulfil her demands and ends up going to prison. She was left on her own and she still wants these fancy things but she doesn’t want to work but thinks her mate should supply her. My character is Ascot. It’s full of comedy but when you sit back after all the laughter you will find someone you know in the characters. How has Guava Jelly been received in Jamaica? It’s very funny. I must say it is for a mature audience. It’s been shown three times in Jamaica and is always extremely successful. Are you looking forward to coming to the UK and when were you last here? I haven’t been to England for a little while and it will be nice to get back my England laughter. The last time I was here was in 2005 for a play for Blue Mountain theatre. Guava JellyWhy is the play called Guava Jelly? I believe it’s taken from the song by Jimmy Cliff and the song is in the play. Why should our readers come and see Guava Jelly? In this world of stress we need to laugh and I think it is two hours of laughter and even the serious moments you will laugh. It’s about human weakness and frailties and it’s very well written and a wonderful piece of work. Almost 39 years. I am hoping to celebrate my 60th birthday this year in 4 October. I have been informed that there is going to be a massive party but I have no information on this. I am excited because I am very well and healthy so very grateful and feel blessed. Do you prefer to be on stage performing, doing stand up or on being on screen? Stage, because the human reaction is immediate. Why do you think you’ve had such a long and successful career? One I am blessed and two probably it is my style and kind of humour that I present. Who helped you to follow your dreams? I didn’t really decide but I must have been about 22-years-old when I went into acting. I’ve always been surrounded by ‘Yard’ theatre and I’ve always admired this gentleman who was like our village lawyer – he would read the paper to us so on a Friday evening and when they had their yard theatre he was like the master of ceremony. His name was Mr Clifford Hunt. I admired that in him and was baptised in it. Growing up I had began taking on Miss Lou and Maas Ran, Miss Lou influenced me going into the theatre as I’ve always admired her work on radio and television. One of my greatest highlights was the first time I appeared on the The Ward Theatre Stage with Jamaica's First Lady of Comedy the Hon. Louise Bennett-Coverley, our Miss Lou. One of the highest points of my career and I want to cherish that. What was it like working with Denzel Washington in the Mighty Quinn? He reminds me of Lenny Henry in the sense that there isn’t anything false about them, they are humanistic. You didn’t get the feeling you we’re in the presence of this big star. Which comedians do you find hilarious and have admiration for? Audrey Reid, Dionne Silvera – Anne-marie Fuller then local comedians, Blacka and Bello, Paul Keens-Douglas and Ity and Samcy Cat. Bill Cosby and the late Richard Pryor and Eddie Murphy in his younger days. I love Lenny Henry and we have worked together. Oliver Samuels was born on a plantation called Tremolesworth and he now lives in Chancery Hall, Kingston, Jamaica. He will be celebrating his sixtieth birthday on 4 October 2008. Catch Oliver Samuels and Audrey Reid in Guava Jelly which is touring the UK. 06 - 07 September 2008, 8pm: Hackney Empire, Mare Street, London E8 1EJ. 14 September 2008, 8pm: City Varieties, Swan Street, West Yorkshire, Leeds LS1 6LW. 20 September 2008, 8pm: Opera House, Quay Street, Manchester M3 3HP. 21 September 2008, 8pm: Alexandra Theatre, Station Street, Birmingham B5 4DS. 27 September 2008, 8pm: Royal Concert Hall, Theatre Square, Nottingham NG1 5AA. 28 September, 8pm: Carling Academy Brixton, 211 Stockwell Road, London SW9 9SL.